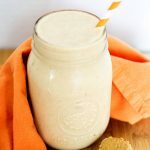 Peanut Butter Banana Breakfast Smoothie - 16 Grams of Protein! Need a quick morning meal on the go? 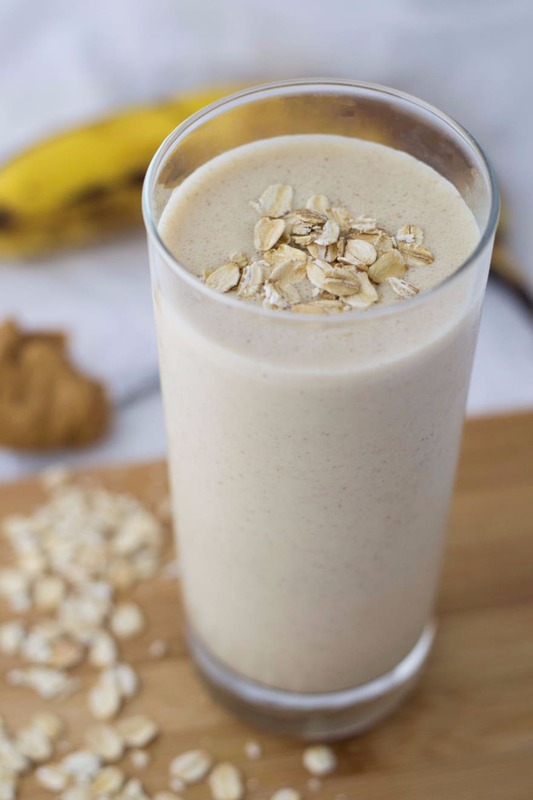 This peanut butter banana breakfast smoothie is just the ticket. 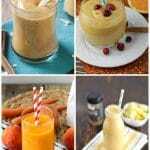 It’s smooth, creamy and packed with protein, so it’ll fill you up, unlike some other breakfast drinks. I’ll be upfront with you and admit that, in general, I’m not a huge fan of peanut butter. You see, the smell made me sick as can be when I was pregnant with our son. That was six years ago now, and I still haven’t quite recovered from that with regard to eating peanut butter. But in a smoothie, I can handle it. In this smoothie, it’s delicious. 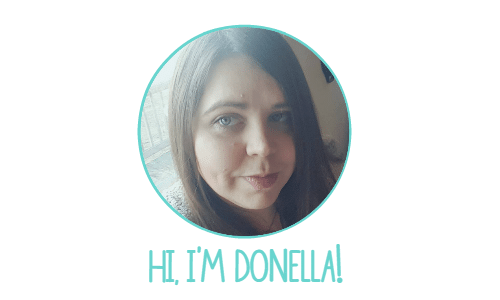 All of you peanut butter fanatics are probably saying, “Umm… yeah, it is!” But for someone who’s not a huge fan of peanut butter, to say that I love this drink is huge. And here’s another yummy one to try: Peanut Butter Jelly Smoothie!! 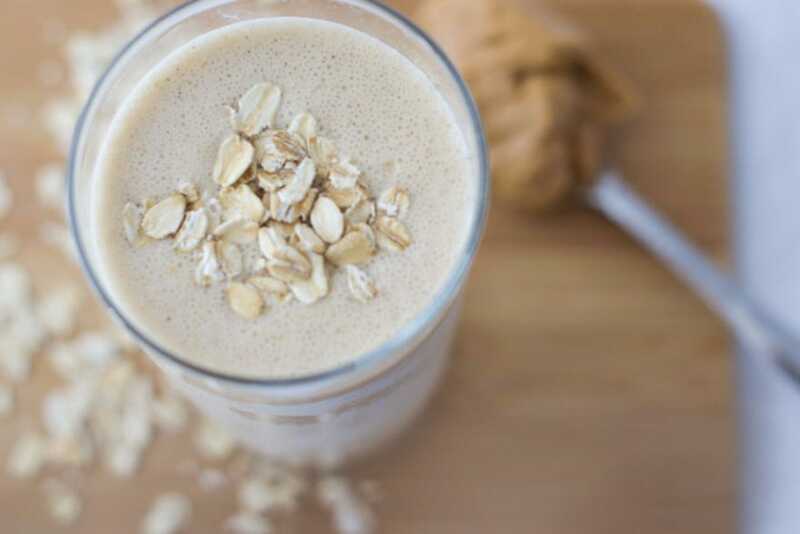 But let’s get back to this peanut butter banana breakfast smoothie. Of course, my husband and son eat peanut butter by the spoonfuls or with apples, crackers, bread, tortillas… you name it. So since we’re always well stocked with the stuff, I made this peanut butter banana breakfast smoothie for us a few days ago. 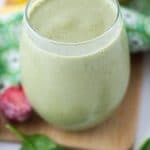 My husband doesn’t like super thick smoothies (crazy, right?) so this is a little thinned out for him with an extra half cup of almond milk. But if you like yours thick, definitely freeze the banana and only use half a cup of milk. You could even add a little ice if that’s not thick enough for you. A word of advice: If you freeze bananas for longer than a day (I keep them in baggies in the fridge for weeks), make sure you add your banana on top of all the other ingredients. 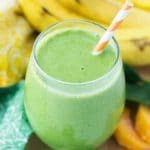 The liquid will help work the banana chunks down without being too taxing on your blender. And if you don’t have time to freeze the banana, don’t fret! Just throw a cup of ice into the mix to thicken it up. 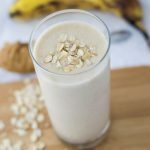 This Peanut Butter Banana Breakfast Smoothie is a great way to start the day! It packs a healthy dose of protein (more than 16 grams! ), so it'll fill you up when you're on the go. What’s your favorite breakfast in a glass? Let us know in the comments!